Made of wavy, short pile, dark caramel mohair, this Cheeky has been lovingly designed to commemorate the charismatic Oliver Holmes. 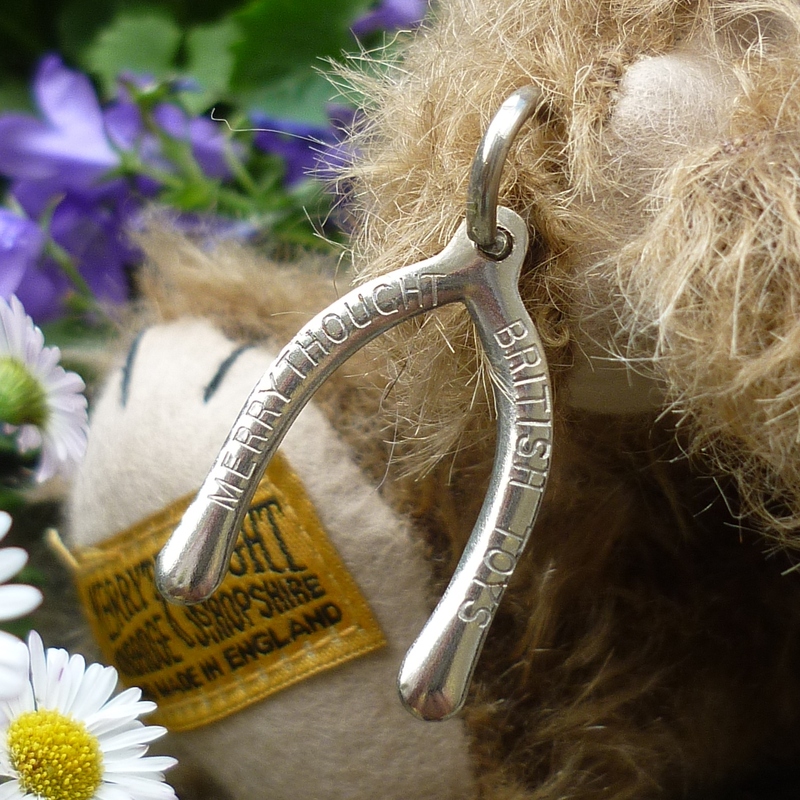 Dressed in a distinctive Dale End tweed waistcoat, he has magnets in each hand to clasp a Merrythought wishbone. Oliver’s signature is woven on his right foot pad. He comes boxed with a certificate. 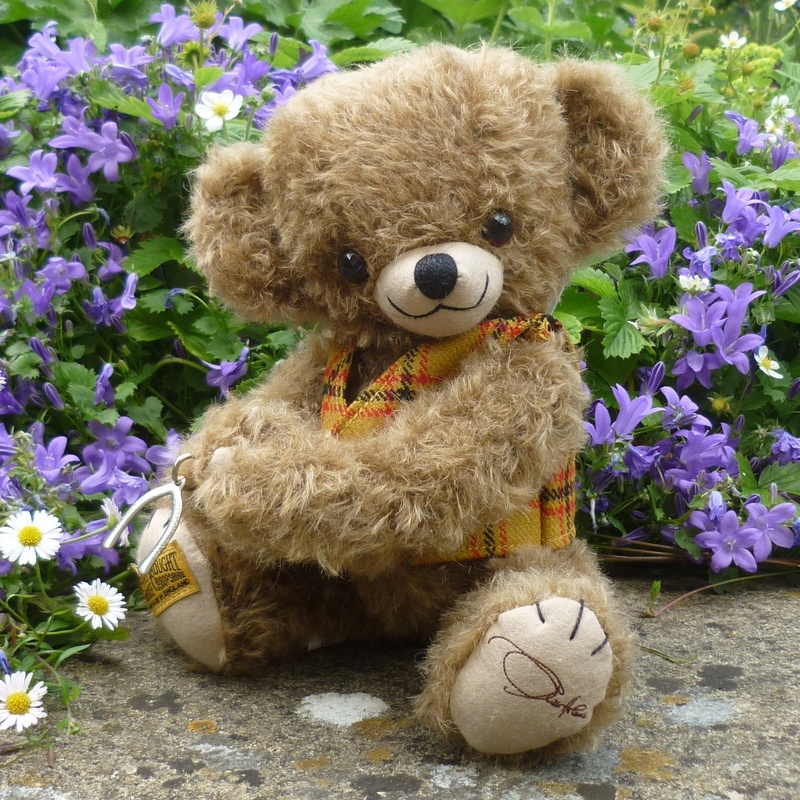 Merrythought will donate proceeds from this bear to Marie Curie Cancer Care. In presentation box / with certificate.